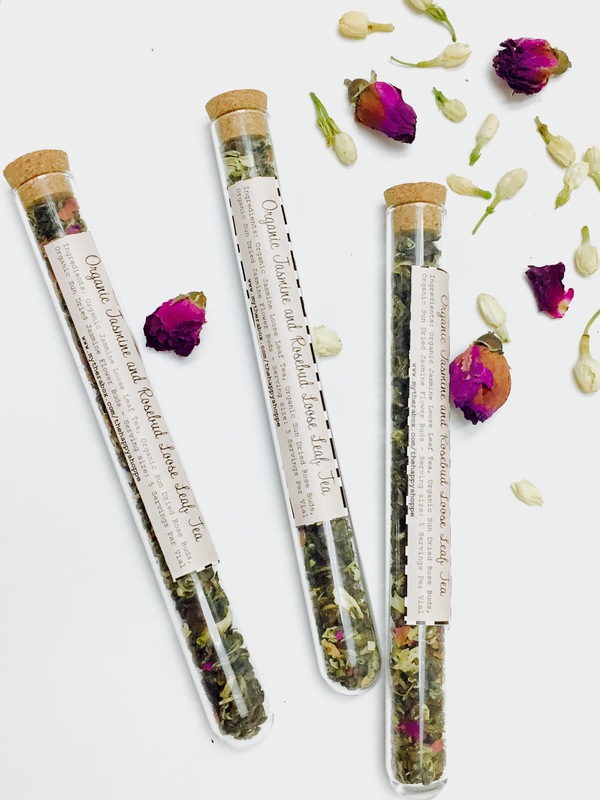 An aromatic blend of the finest organic loose leaf tea leaves, sun dried rose, and jasmine flower buds. Each vial is good for 5 services. The handmade flower infused mix can help alleviate stress, cleanse your body, and leave you feeling happier and healthier. Take a sip and start your day organically! Perfectly paired with our stainless steel teahouse infuser! *Free US Shipping!